I Made Butter AND Buttermilk!! I KNOW, I am Shocked, Too! 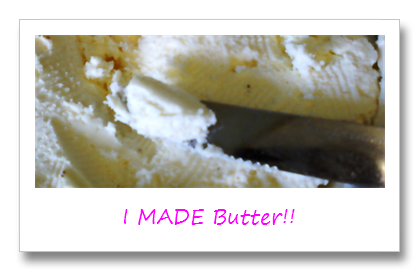 You are here: Home / Great Deals / I Made Butter AND Buttermilk!! I KNOW, I am Shocked, Too! What I saw was a 3 minute process that involved pouring liquid in a food processor and hitting the on button and standing around waiting 3 minutes! That looked easy enough for even me! I was in! lol I called my hubby and asked him to bring home some Heavy Whipping cream – that’s all it takes – and he did! I didn’t take pics of me making it, honestly I wasn’t sure if I would get what she got, so I didn’t. But, it worked! I don’t know if it’s healthier or could be less expensive, but, it is creamy and yummy! 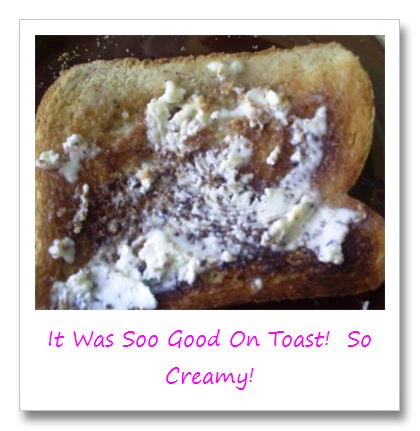 I loved it, so did my husband and DS (who doesn’t care for toast and butter)! All I did was put the heavy whipping cream into the food processor on high for about three minutes. It goes thru a few different forms, and then you can see the liquid really splashing around, it was at that point I thought I had messed it up, but when I looked in I saw it was the Buttermilk separating from the butter! It made about a cup of buttermilk and about a cup of butter! 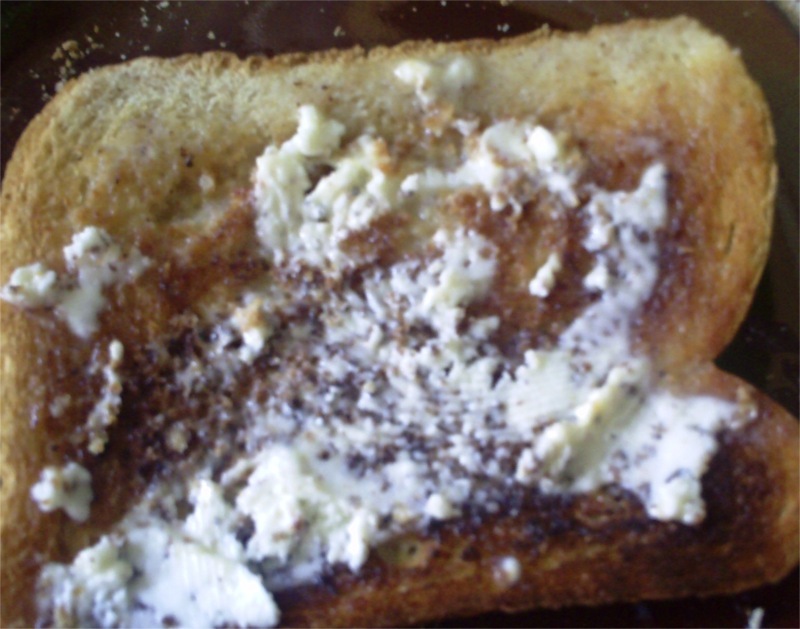 When it’s done you just strain out the buttermilk, you can even use a coffee filter to do that! If you make some, send in pics and what you thought! Good luck, I am very pleased!